Drawing Design Inspiration from the Beaux-Arts - Thoughts from an Interior Designer - Boston Design and Interiors, Inc. 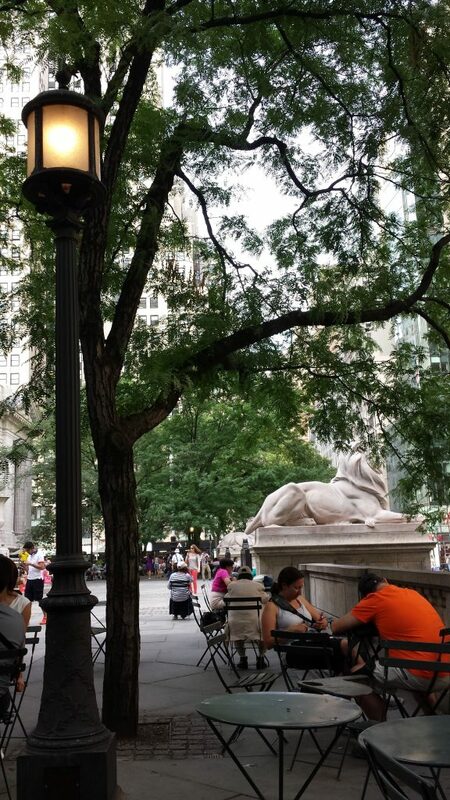 In a recent trip to New York City it was marvelously refreshing to sit in Bryant Park where the huge branches of the trees planted nearly a century ago (designed by Frederick Law Olmstead) formed a canopy of shaded repose where I could sit and rest my mind. 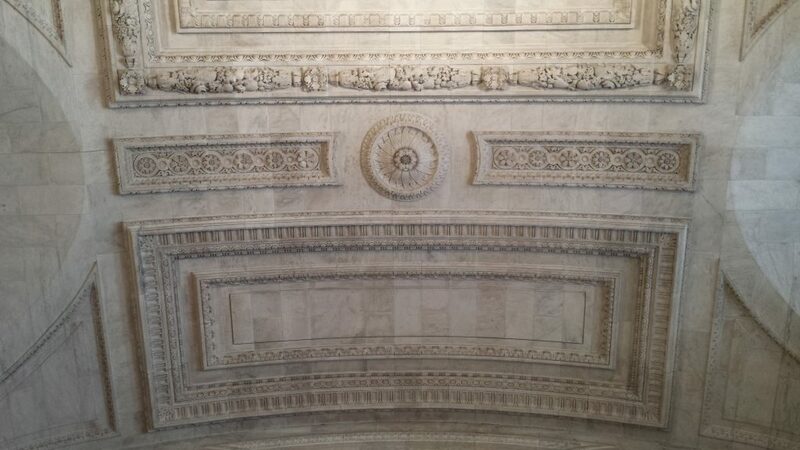 As a native New Yorker, I still find the abundance of beauty found in its public spaces to be something quite unique. From the steps of the New York Public Library to the plazas at Rockefeller Center to the small open café –like setting just a stone’s throw from Times Square residents of the city, commuting workers and visitors alike can share in the majestic beauty of buildings that so many notable architects and wealthy patrons of the arts and sciences made possible from the end of the 19th century and into the 20th. 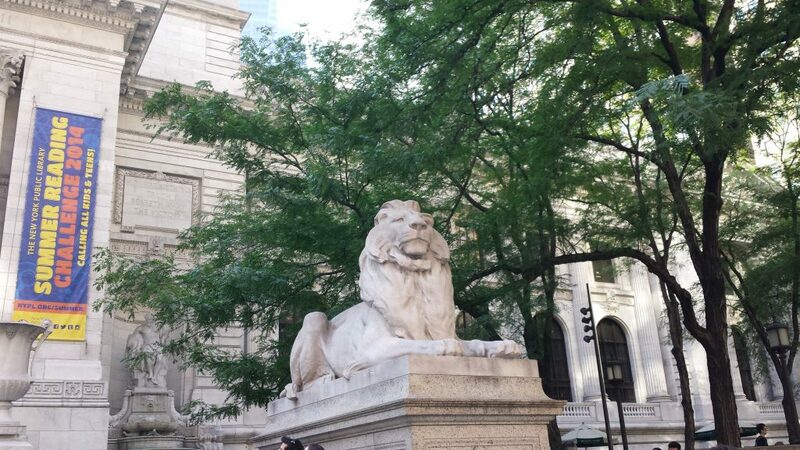 I visited this time with fresh eyes as I walked past the famed lions that frame the New York City Public Library (designed by John Carrere an Thomas Hastings- who also built many private residences in the French Renaissance and French Provincial style.) When I was a little girl I remember the years had taken a toll on its beauty—but now after its restoration and with all of its marble gleaming once again in the sunlight I felt as though I was a passenger back in time who must have felt its wonder of architecture and sense of purpose when it opened its doors almost a century ago. 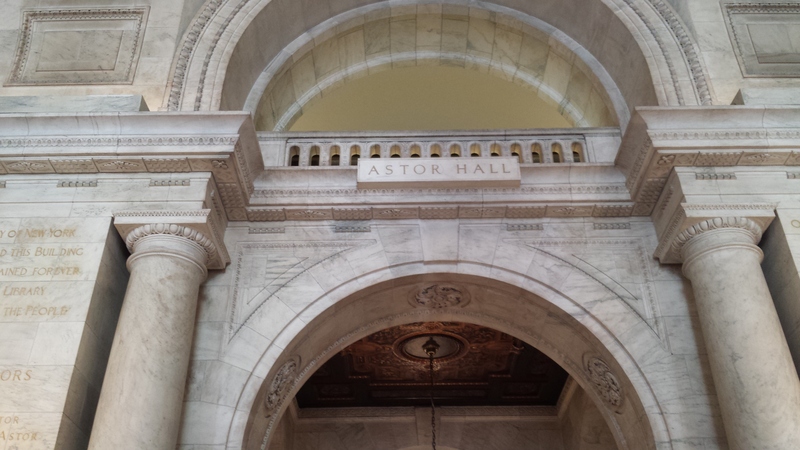 Once inside its doors, how humbling it is to stand in Astor Hall with its marble clad vaulted roof. 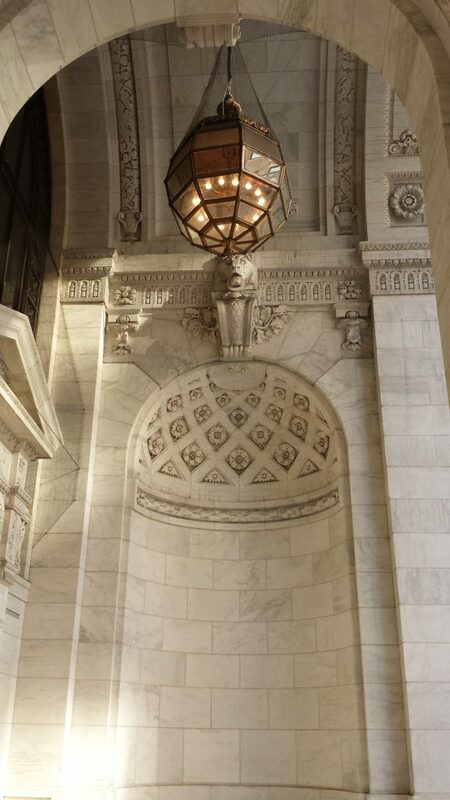 My eyes were drawn to the other Romanesque features on the fenestration and ornamentation of this space replete with grand electrified torcheres and the multitude of linear spaced lanterns. 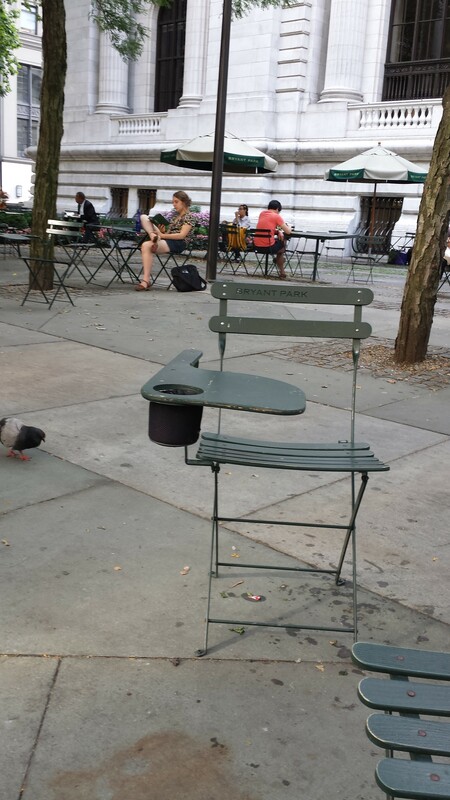 With an invitation to sit and linger outside the Library, even the outdoor chairs were designed with cup holders. In New York City, you need not pay any admission fees or wait on long lines- you need only to open your eyes to what is all around you. 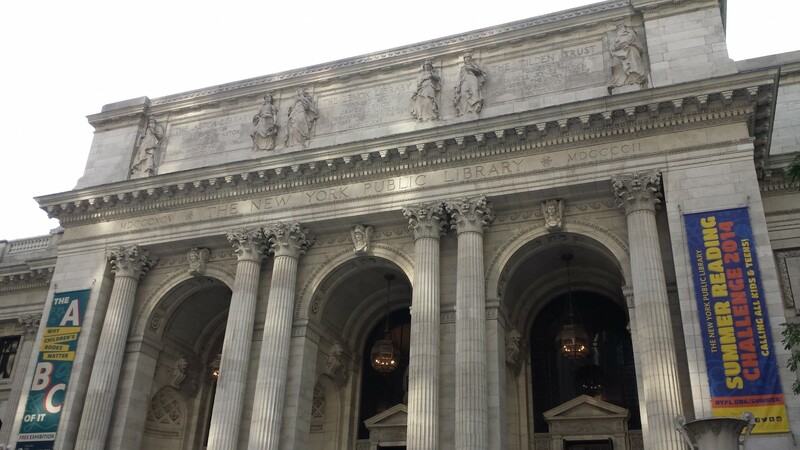 The architecture and erecting of public spaces during the Beau-Arts movement was what I believe to have been the hope and promise for the future- the most notable being the New York Public Library.